Since 9/11, policymakers and practitioners in the West traditionally employ a mix of hard- and soft-power approaches to counterterrorism. While kinetic measures such as targeted killings and arrests comprise part of the government’s response to terrorism, officials use a range of mechanisms to engage and empower populations as a means to prevent mobilization to terrorist violence. Often under the banner of “Countering Violent Extremism,”(CVE) softer measures, like intervention programming and counter-messaging initiatives, are critical mechanisms for governments and civil society alike. The execution of influential counter-narrative campaigns represents a challenging but necessary tool for stakeholders tasked with preventing and confronting the adoption of extreme ideas and actions. By taking a more active stance in the battle of ideas, counter-messaging programs led by governments, civil society, and the technology industry strive to combat the messaging of organizations that aim to rally citizens against their communities. Although the self-described Islamic State of Iraq and Syria (IS) undoubtedly created a demand for such initiatives, the proliferation of radical movements worldwide requires governments, their partners in the tech industry, and civil society to capitalize on tools exploited by extremists, namely social media. To more efficiently leverage the practice of counter-messaging against violent extremists, especially within broader strategies to prevent terrorism, it is useful to review existing efforts and critically examine the barriers to success. Met with waves of criticism, an array of counter-messaging efforts gained traction as mounting evidence showcased extremists command of the digital sphere. Although there is little consensus on the precise scope or aims of counter-narrative initiatives, counter-speech usually encompasses a range of activities and tactics oriented towards diverting attention from and undermining rhetoric advances by advocates of violent extremism. Whether piloted by the government or implemented by local community members, such efforts are tough to measure and evaluate, making appraisals of success and failure hard to gauge. Among Western nations, government-led counter-narrative efforts pertaining to terrorism prevention broadly trace back to the mid to late 2000s. The European Union’s Radicalisation Awareness Network and Social Media Work (RAN@), which began in 2012, is among the largest and best-resourced campaigns to counter violent extremism with alternative narratives. As an extension of the leading soft-power, preventative strategy to counter-terrorism, the United Kingdom established the Research Information and Communications Unit (RICU) within the Office for Security and Counter-Terrorism in 2007; RICU’s primary mission is to support the government’s development of anti-extremism communication strategies across multiple platforms. Programs implemented by the EU and U.K. are broad-based, and the extent to which they affect their target audiences is unclear. In the United States, after facing blowback from a counter-narrative campaign called “Think Again Turn Away,” which was established in late 2013 and discontinued in 2016, the State Department established the Global Engagement Center to “more effectively coordinate, integrate and synchronize messaging to foreign audiences” to undermine disinformation by extremist actors. In any case, counter-speech originating from government mouthpieces are not credible in the eyes of terrorist organizations, and thus, unlikely to sway adherents to violent extremist ideologies. This issue punctuates the need for counter-speech efforts stemming from non-governmental entities, empowering the private sector, civil society actors, and even former radicals. As Western governments experimented with the design and implementation of counter-messaging strategies, actors from both civil society and the tech industry pioneered alternative methods of advancing counter-narratives. Google, for example, created Jigsaw, an entity designed to leverage technology to counter violent extremism along with a range of different threats in the digital sphere. In addition to supporting counter-speech projects like Abdullah-X, an initiative run by a former extremist that produces animated videos that reject extremism, Jigsaw also piloted the “Redirect Method,” which directed consumers of radical material on YouTube to alternative content. Despite the commendable steps toward innovation, it is hard to discern the effects these measures have on vulnerable audiences. Moreover, it is also impossible to know if such efforts even reach the demographics the projects seek to influence. In this arena, academic research and evidence-based policy recommendations suggest that the most convincing, sustainable initiatives require collaboration between states, civil society, and private industry. Accompanied by a long list of projects and programming, a brief review of these efforts is a productive way to highlight the problems and opportunities to leverage strategic messaging as a means to prevent terrorism and counter violent extremism. By identifying the shortcomings of existing counter-messaging campaigns, this discussion helps chart a clearer role for counter-speech measures in comprehensive approaches to prevent terrorism. In addition to the above-mentioned challenges that arise from the unreliable effects of counter-speech campaigns, and overwhelming limitations regarding the measurement and evaluation of such efforts, it is crucial to touch on additional barriers that might limit the impact of counter-narrative efforts in the fight against violent extremism. The scope and targeting of alternative-messaging campaigns is another factor that deserves consideration. Most initiatives are broad-based and designed to reach a larger audience, so sweeping approaches are inherently problematic because they limit what each campaign can actually achieve. Actors within extreme networks online might range from vulnerable individuals looking for a cause to hardened radicals and recruiters; logically, the same message may yield different effects on this range of ideological adherents. Furthermore, in the context of radicalization and recruitment, which is an intimate and personalized process, even online, generalized counter-messages stray from the type of targeted engagement and one-on-one interventions recommended by de-radicalization experts and practitioners. 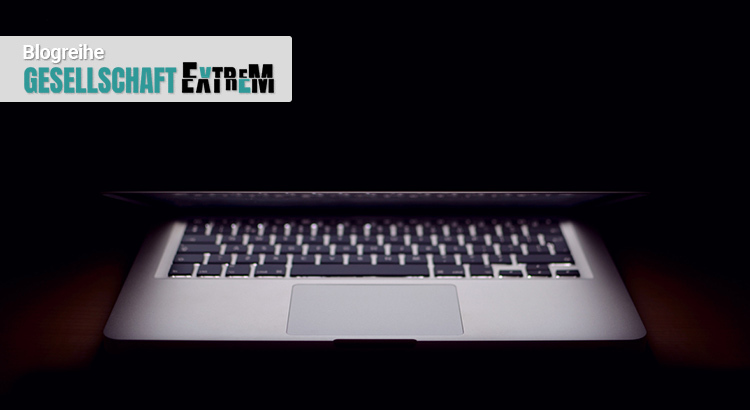 Programs that seek to influence extremist actors online must have a comprehensive understanding of terrorists’ radicalization and recruitment strategies, and embrace the same dynamism as radical groups. In addition to grasping how compelling, flexible narratives work, the creators and disseminators of counter-messages must have a solid command of the ideology and logic they want to confront. Moreover, it is crucial for policymakers and practitioners to remain grounded in the notion that radicalization is a phenomenon that blends online and offline realities. Since people are not merely radicalized online, stakeholders must be wary of mistakenly assuming de-radicalization and disengagement are tangible aims in the digital sphere alone. Though additional inquiry is necessary, evidence suggests that counter-messages must evolve in real time, along with the movements fighting for recruits, and transcend online-offline dichotomy. Although massaging strategies have noted shortcomings, a growing list of resources, including the Institute for Strategic Dialogue’s Counter-narrative Handbook, articulate best practices for constructing and disseminating convincing counter-narratives. Hailing from multiple disciplines, lessons learned from advertising, communications, psychology, will undoubtedly improve stakeholders power to persuade select audiences, and undermine the rhetoric advanced by violent extremists and terrorist organizations writ large. Even though counter-speech and alternative messaging have some inherent limitations, extremists’ ongoing exploitation of digital communications technologies proves that such tools are critical to reaching audiences with real and perceived political grievances. So long as counter-messaging efforts aspire to “do no harm,” attempts to depreciate the influence of terrorist actors, counter-narrative efforts by governments, civil society, and private industry can progressively sideline, undercut, and drown out radical perspectives. 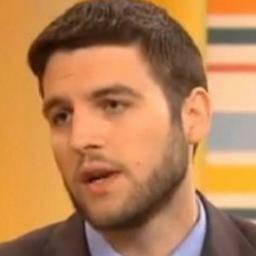 Alexander Meleagrou-Hitchens is Research Director of the Program on Extremism at the George Washington University. Prior to joining the Program on Extremism, he was the Head of Research at the International Centre for the Study of Radicalisation (ICSR). 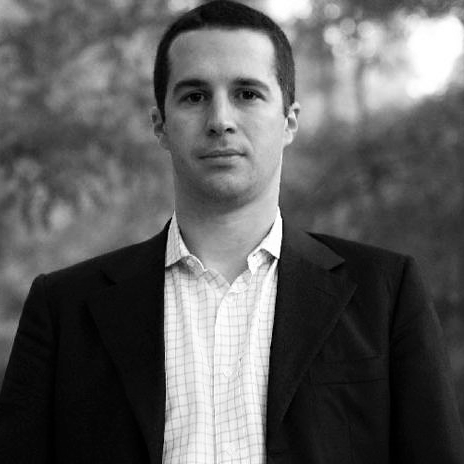 Lorenzo Vidino is currently the Director of the Program on Extremism at George Washington University’s Centre for Cyber & Homeland Security. Lorenzo leads EFD’s radicalisation series where he chairs briefings with European policymakers about the latest security threats from Islamist groups. Online- oder Offline-Radikalisierung – oder doch ein Mix?